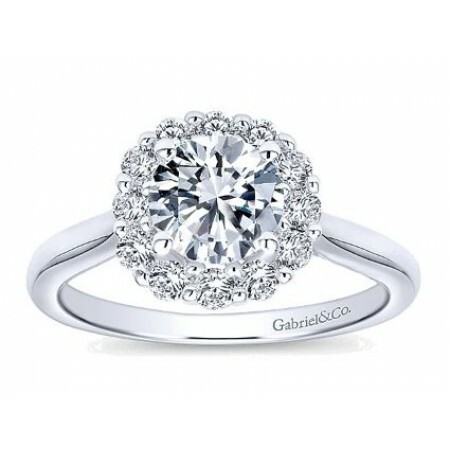 This Gabriel & Co. engagement ring setting is pictured with a 1 carat round diamond mounted in the center but can be customized to accommodate a round diamond, or gemstone, of any size. 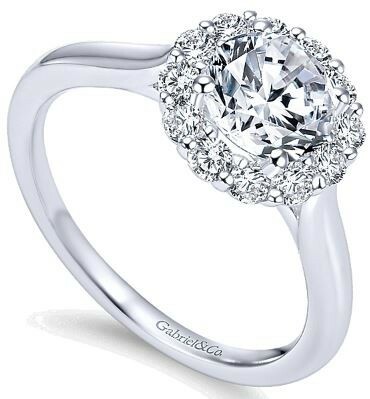 This contemporary Halo Engagement Ring is crafted in 14KT White Gold features 12 Round Brilliant Diamonds totaling 0.42 carats, G-H in Color, SI in Clarity. 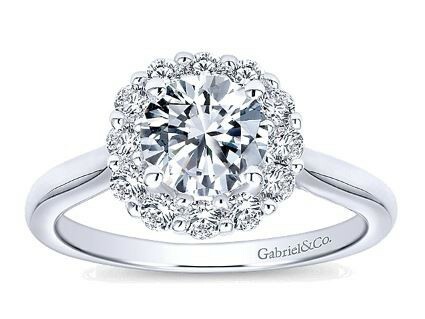 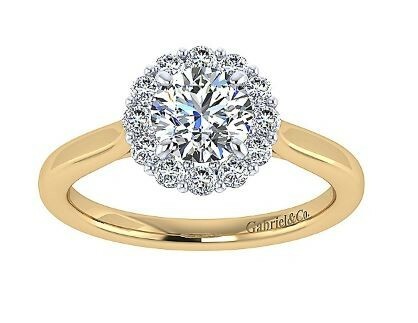 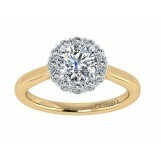 The Halo setting is designed to make the center stone look larger.